Clifton Park, NY — Shmaltz Brewing Company is thrilled to announce the partnership with a new distributor, Beer House Distributors of Kentucky, as they enter the Kentucky market for the first time. The latest addition to Shmaltz’s new team of distributors across the country, Beer House enhances the regional retail presence and draft availability of the award-winning craft beer line: He’brew — The Chosen Beer®. Shmaltz’s distribution growth comes on the heels of the grand opening of a new 20,000 square feet brewing facility in Clifton Park, NY. Projected annual sales for 2014 are estimated at nearly $4 million, and Shmaltz increases its staff to 20 employees. The Beer Trappe will play host to Shmaltz Brewing Company’s first EVER Kentucky event. Jeremy Cowan, founder and proprietor of Shmaltz, will join National BJCP Judge & Certified Cicerone, Kevin Patterson for an informative tasting of five award-winning He’brew® beers: Genesis Dry Hopped Session Ale®, Messiah Nut Brown Ale®, Hop Manna IPA®, Death of a Contract Brewer Black IPA®, and Bittersweet Lenny’s R.I.P.A.®. Don’t miss this great opportunity to meet the Shmaltz posse, and enjoy the delicious fruits of their labor. 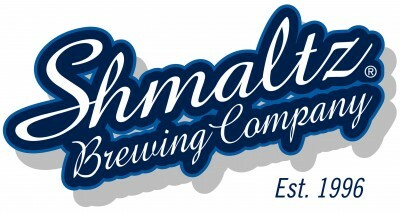 Ranked in 2013 as one of the “Top 100 Brewers in the World” by RateBeer.com, Shmaltz won 9 Gold and 5 Silver Medals in the World Beer Championships in 2012. A recipient of the “Distinguished Business Award” by the Brooklyn Chamber of Commerce, Shmaltz was also included in the “Top 50 Fastest Growing Bay Area Companies” by San Francisco Business Times. Founder and still sole proprietor Jeremy Cowan established the company in San Francisco in 1996 with the first 100 cases of He’brew Beer®. He’brew® now sells across 35 states, through 40 wholesalers and nearly 4,000 retailers. In 2007, Shmaltz released a new line of craft brewed lagers under the Coney Island® banner. The Coney Island brand was recently acquired by Alchemy and Science, a craft beer incubator, owned by Boston Beer (Sam Adams). After 17 years of being an outspoken cheerleader for contract brewing, Shmaltz recently broke with tradition and opened its own New York State production brewery in Clifton Park, NY, 10 minutes north of Albany’s capital district. Shmaltz’s new home boasts a 50-barrel brewhouse with 20,000 barrels of annual capacity. The new brewery packages 12 and 22 ounce bottles and kegs of their diverse core and seasonal favorites, and hosts fans and beer tourists in their new tasting room for tours, barrel-aged previews, and special releases. In 2010/11, Cowan published his small business memoir, Craft Beer Bar Mitzvah: How It Took 13 Years, Extreme Jewish Brewing, and Circus Sideshow Freaks to Make Shmaltz Brewing Company an International Success. A free sampling of Chapter One and suggested beer pairings, can be viewed at www.craftbeerbarmitzvah.com. In 2012, Cowan spearheaded the creation of the non-profit New York City Brewers Guild (which manages NYC Beer Week) and serves as its President. Cowan also has presented at the 2013 Craft Brewers Conference, as well as previous Great American Beer Festivals, BevNet’s Brewbound conference, Beer Advocate’s Extreme Beer Festival, the Atlanta and the St. Louis Jewish Book Fairs, and the San Francisco and New York Jewish Museums. Shmaltz Brewing beers have appeared in such distinguished media outlets as The New York Times, CNN Headline News, Beer Advocate Magazine, NPR’s “Weekend Edition,” Fox Business News, Men’s Health, San Francisco Chronicle, The Jerusalem Report, New York Jewish Week, and Washington Post.